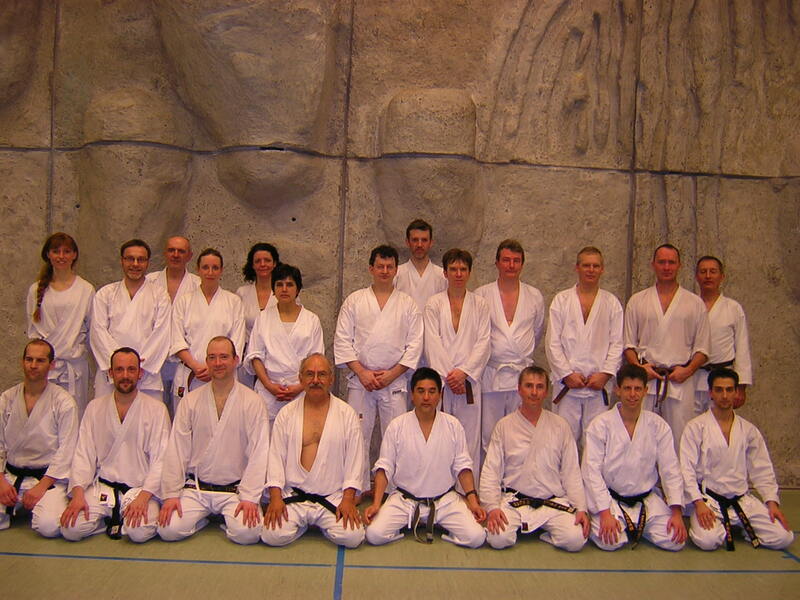 The group consisted of 21 people from various Dojos in Enschede, Den Haag, Antwerp, Berlin, Haan and Curacao. It was a special honour for us to have two guests from far away: Danny from California and Eric from Curacao! For 5 people it was their first Special Training and they all performed pretty well! Oliver (8. Kyu) from Dojo Haan almost completely lost his voice because of doing such strong kiais! 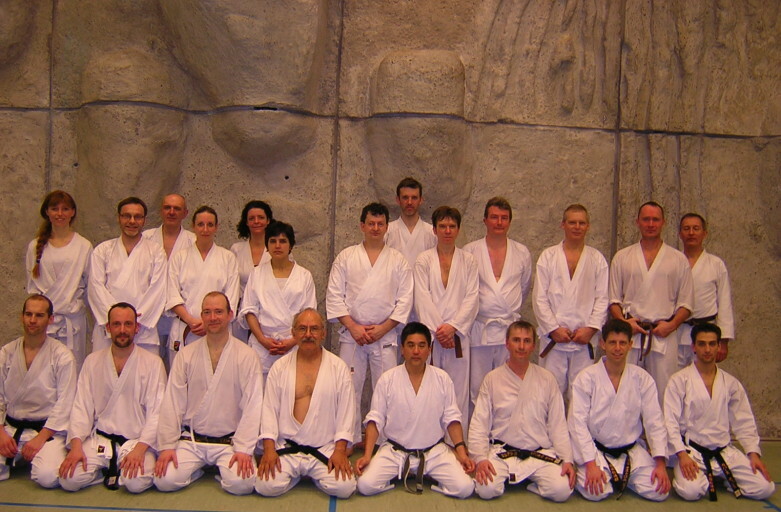 With only 7 people under 40 the first half hour of kibadachi was the most challenging one. But when the over-40-group entered the room I am sure they noticed which tense we already created and we could go on together with them for the next hour! It was wonderful to experience the fantastic group dynamic and the warm and friendly atmosphere between all participants. Also everybody tried to rest and regain power between the practices we found time enough to have nice chats with each other, meet new people and exchange news with friends from the different dojos. The campus in Enschede is a perfect place for special training, nice accommodation, good food (Thanks to the banana man who also cared for us after the last practice in the evening and provided fresh fruits!) and a good practice hall (even though my feet definitely don’t like the floor – I made a new record in getting four blisters on each feet….). All in all I left the Special Training amazed about myself and I am already looking forward to the next ST to go again through this experience together with friends!